Breakthrough will be delivered by experienced coaches and a programme team proven in compliant ERDF and ESF programme delivery. The project will support ERDF eligible start-up businesses throughout Cornwall and the Isles of Scilly, targeting areas of low enterprise activity (e.g. East of Cornwall and the Isles of Scilly). It will be demand led and support those at risk (unemployed or redundant), social enterprises, students, graduates, micros, self-employed and those with high growth potential. Breakthrough will use accessible locations including Cornwall College’s 7 campuses, centres and business spaces. Coaches will also travel to start-ups. Online resources will provide remote access. An individual start-up plan will set out support to be provided and the level of investment required by each start-up to match this support. The scope of each plan will be determined by individual needs and growth potential. Those with growth potential will go through a stage gate model – each stage focusing on elements of growth. The increasingly intensive and sophisticated resources at each gate will ensure all those who demonstrate greater growth potential will access higher levels of appropriate support. Breakthrough will leverage private sector investment by raising an annual £120k SEIS fund and provide workshops on crowdfunding. Breakthrough intends to pilot an ‘Ignite Accelerator’ to encourage the creation of new start-ups pending receipt of additional finance above the current budget. Drawing upon the success of the Ignite Business Plan competitions, the winners would be provided with incubation space, equipment and intensive support to fast track growth. 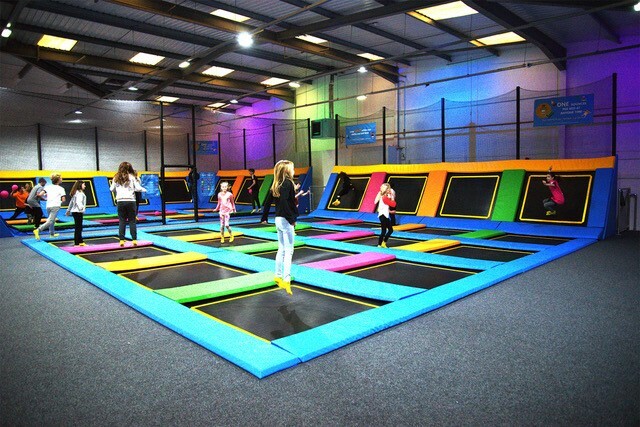 The iBounce case study explains how Breakthrough supported iBounce, Cornwall’s first ever trampoline park facility.